After six months and nearly one billion tweets on Twitter, it took a media frenzy over a small measles outbreak in California at the beginning of 2015 to draw the attention of some in the national media to finally start reporting on the significance of the CDC Whistleblower story from the summer of 2014. Patrick Howley of The Daily Caller has reported that the Obama administration has granted whistleblower immunity to Dr. William Thompson, a senior epidemiologist at the CDC who co-authored and published research on the MMR vaccine for the CDC back in 2004. 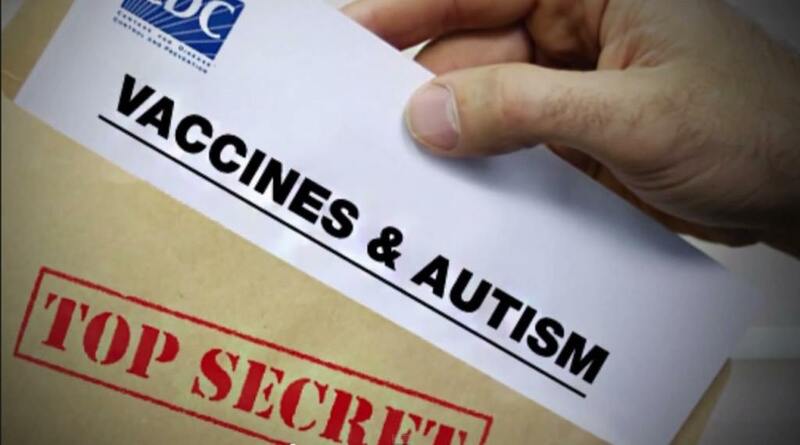 His decision to become a whistleblower and reveal data that was concealed by the CDC linking the MMR vaccine to autism among African American boys was revealed during the summer of 2014. In his report, Howley links to a letter published on the Natural News website from the summer of 2014 sent by Dr. Thompson to then-CDC director Dr. Julie Gerberding in February 2004, where he expressed his concerns to Dr. Gerberding about how the CDC was concealing data linking the measles MMR vaccine to autism. Howley points out that Gerberding is now an executive vice president at Merck, the pharmaceutical giant that is currently the sole manufacturer of the measles vaccine. Gerberding originally left the CDC to take the position of president of Merck's vaccine division. Unfortunately that is exactly what they do. For example the West Nile Virus, this is what I call a "designer" virus because it was developed in a lab. Chenney, before being vice president, was a salesman of sorts - he sold chemical warfare items. And even tried to sell this virus, that was developed at the lab, to Saddam and Saddam refused to buy ANY chemical warfare stuff from Chenney. So it makes you wonder when you hear of West Nile Virus being out in the population and people are dying or sick from it... HOW DID IT GET THERE? I know it didn't sprout legs and left on it's own! The government has been fascinated by the use of insects in attacking the enemy for decades. Their favorite is the mosquito. The gov sprays us with this crap via chem trails and after it settles every where especially where there is standing water then they rely on the bugs to inject us with the toxic chemicals. The name alone is without a doubt VERY misleading because they threw in that word NILE. So one is quick to assume okay.... Nile ... umm.. Water!... Then they had the word west before it giving it a direction (and everyone is aware of the points on a compass) so that vaguely gives the impression of where it was probably found ... okay, so ya think...hmm ... if I go west till I fall into a nile that's where I'll find the virus!! Pretty clever marketing - I must say! I am a parent who witnessed this first hand. My daughter was perfectly normal and speaking short sentences. Soon after MMR she was hospitalized with lethargy, fever, and the cause was never determined. Then started the head banging, screaming, 2 hours of sleep a night sometimes up for two days straight. She can now only say Mom, dee dee, yes and no but has become a happy child otherwise although still not potty trained yet at 9 years old. If this information was not withheld by these criminals parents could have put off getting some shots until maybe 3 years of age or whatever could have been trialed. I want prison sentences and explanations. I know they could not have made these calls alone without approval from upper government. This was not their information to withhold and all involved should be punished to the maximum allowed by law. If I had known about the VICP 7 years ago I could have filed a claim. Not something the pediatrician gives out in their office though. All I got was, "No way possible it was the vaccine" Well what was it then? The milk and cookies maybe, the juice, toast, maybe a bagel did it. No I tend to believe it was the immune system provoking injections given to play God with a delicate system that scientists will never be able to fully understand. Once again. Yet another good report. These vaccines are being given to a population that is also extremely over-medicated with mind altering drugs. How many of the Autistic Kids out there were also on antidepressants, ADHD and/or ADD drugs, pain killers, diabetes meds, etc when they were also Vaccinated? Hell it's hard to find actual real "FOOD" in our grocery stores. Put 2 and 2 together. I'm tired of living in a world where money is able to make it add up to 5. The establishment is panicking. A lot of people were wandering what they were going to do to combat this situation towards the end of 2014 as the pillars of the vaccine industry were showing serious cracks and starting to crumble. Well I believe it is no co-incidence that there is currently a Measles "scare" (ie Disneyland) by sheer co-incidence right now. i believe what we are seeing is the industry's clear response to the problem that is building. It is so obvious now. Think about it, what if it was started on purpose, as a tool to give the media the fuel they want to burn anyone anti-MMR at the stake. Look at the result already, it has given the media the angle they require to just "plough forward at all costs" in support of vaccination. If such massive coverups have been performed to protect profits at the expense of childrens lives and health, what makes you think they are not capable of just "letting loose" some measles vials from the laboratory fridge into a kiddies paradise where every kid is supposed to feel safe (just to make it even more shocking to parents) to help with their masterplan. This perfect timing is just beyond a co-incidence and resulting media coverage and the direction they have taken, aggressively demonizing "anti-vaxxers", even forcing some areas of the country to start drafting further draconian vaccination laws to "keep them stabbing" is working exactly how they want it to work, its drowning out the whistleblower stories. i think it is one giant orchestration. I would really like an independent investigator to look into how the outbreak really truely started...work backwards to the very start and confirm 100%. Has anyone done this? Or are we all going to take the CDC's word on it...believe them because they, you know, always speaketh the truth? It's such a shame people place $ before a child's life,not caring what happens to the child after the parent is gone, who takes care of that ill child ?? God have mercy on them.. So Sad. $3 BiL paid out in vaccine court to victims since 1989. ALL paid by the american taxpayer. They knew it and didn't stop it!!. How different are they from Dr. Josef Mengel "The Angel of Death"? Dr. Natasha Campbell-McBride should also be given a Nobel Peace Prize for explaining the link between a dysfunctional digestive tract, vaccines and autism in her book "Gut and Psychology Syndrome". Dr. Andrew Wakefield should receive the Nobel Prize in Medicine for discovering this tragic situation and setting the wheels in motion toward a solution. Why are people in positions of influence still saying Dr. Andrew Wakefield was wrong when he should be given a medal . The whole history of the cover up is a great shame !.